Our nursery pack name labels do not fade and are ideal for all children and can be personalised to your exact requirements. We stock pack name labels in popular sizes such as 10mm and 25mm, they are made from super soft durable double sided satin ribbon and are sewn in to ensure they do not fall out of your children’s clothing. 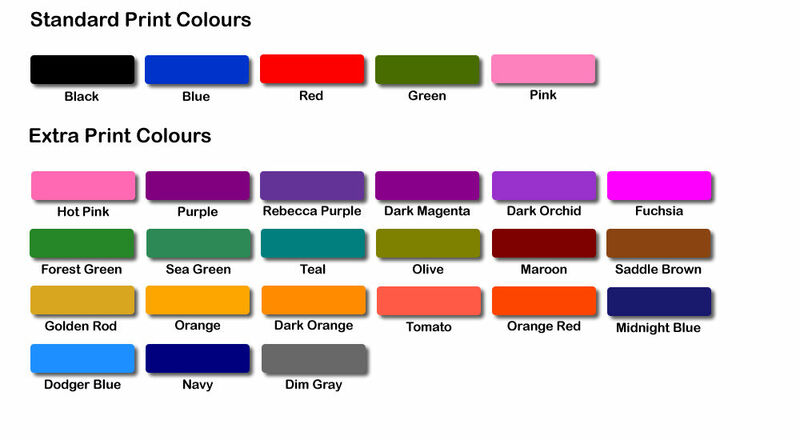 Our name label packs are available from 8 up to 48 depending on size e.g. 10mm or 25mm. 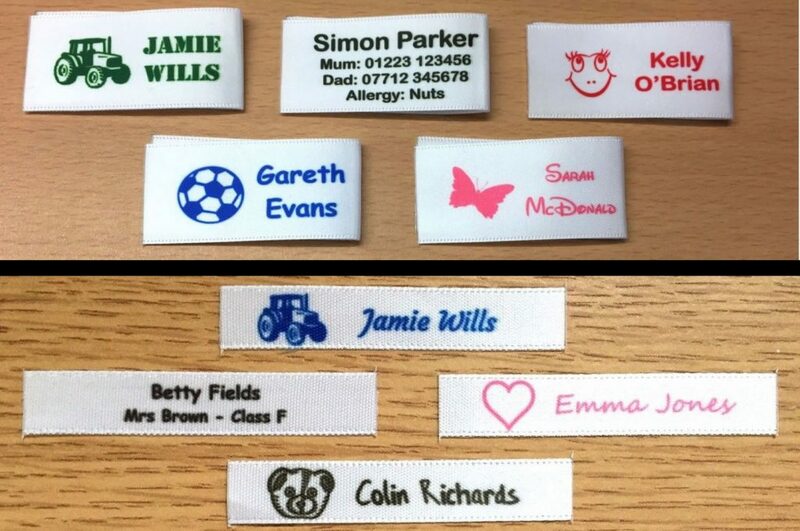 Primarily we sell personalised name labels for both school and nursery children along with care home residents, over several years we have sold thousands of name labels and have made hundreds of happy customers. During that time we developed our own bespoke production processes and whilst our name labels look like similar products they aren’t, the process we developed allows us to produce highly personalised full-colour if needed labels that are very durable. In terms of how you can personalise your nursery name labels, by standard we offer 10+ fonts, 20+ solid print colours and a range of 50+ motifs in various categories which include boys, girls, sports, flowers, transport and much more. We can create something truly special for you, and can even match print colours to those which a nursery or school may use. Additionally if you have an image or motif of your own you would like to use that’s also possible. We make all of our name labels at our Cambridge UK production facility, they are packed in safe secure packaging and shipped via a fast postal service e.g. Royal Mail 1st class. In terms of testing, we have washed them in both bio and non-bio washing detergent, very hot temperatures e.g 100c+ and even soaked them in concentrated bleach with no adverse effects and this is why we can stand by our fade free and high durability claims.